With the recent opening of the Gort-Tuam section of the M17 motorway, it seems that the southwest of the country has moved a little closer to Galway, and weekend trips which we might only have previously considered at the height of the summer are now more enticing all year round. With a little over two and a half hours driving time from Galway city, the delights of the southern capital can be reached, and, let’s face it, Cork is always worth a visit. 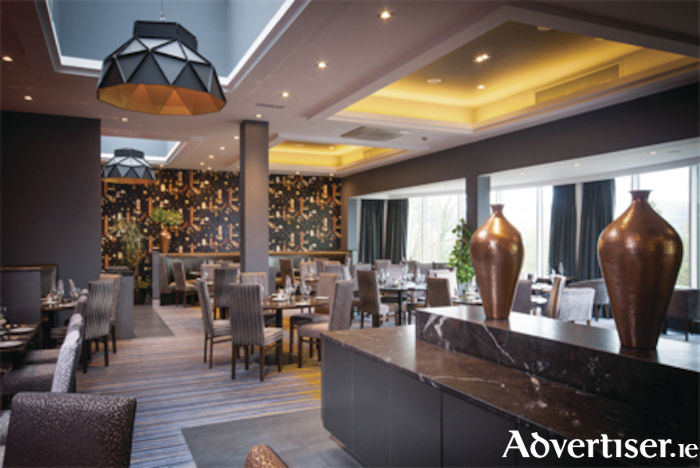 The Oriel House Hotel and Leisure Club, Ballincollig, provides the ideal location for the entire family to enjoy a trip to the southern capital. Located less than a 15 minute drive from the centre of Cork city, the hotel offers guest rooms of de luxe standard including suites, double, and family rooms. With 75 per cent of TripAdvisor reviewers classifying the four star hotel as excellent or very good, the venue offers a great value for money break for those seeking a romantic Valentine's getaway, or a mid-term trip for the entire family. The bar and bistro offers a homely, yet busy, atmosphere for those who choose to dine in the hotel itself. There is live entertainment every Saturday night, and an extensive menu is available in the bar from 12 noon to 9.30pm all week. For those visiting with teenage, or younger, children, a visit to the hotel leisure club is a must. In addition to its 25m swimming pool, the leisure centre also has a fully equipped gym with a separate weights room and a large aerobics studio. The hotel offers a wide variety of breaks for all categories of visitor, from romantic getaways to Fota family fun breaks, and from retirement offers to Girls Allowed party breaks. The Talbot Tiger Kids' Club, which operates during the school holidays, is very popular with younger members of the family. Ballincollig Regional Park is a three minute drive away and includes riverside walkways, tennis courts, and football pitches. A trip to Farran Woods will be on the menu for those who enjoy zip lining, and the Fota packages offer discounted admission rates for those who book this option through the hotel. The Reel Picture, Ballincollig, and The Supernova Play Centre, including Rollerjam and outdoor soccer pitches, are just some of the other local attractions to keep all the family amused. So make a pact, and get everyone to leave the mobile phones behind for a few hours and see what playtime really means. Other attractions in the vicinity include Blarney Castle, Blarney Woolen Mills, and many places to visit closer to the city, including Fitzgerald's Park and Museum, Kart World, Lee Valley Golf, Blackrock Castle and Observatory, Cork City Gaol, Spike Island, and Cork's famous English Market. Cork also has a multitude of top class restaurants and bars for those who intend to socialise in the city. If you manage to visit half the above venues, you will have had a busy and fun filled weekend, and as you depart The Oriel House Hotel, you will promise yourself a speedy return visit. Contact The Oriel House Hotel, Ballincollig, Cork, www.orielhousehotel.ie, phone 021 4208400.